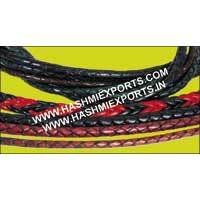 We, at Hashmi Exports are engaged in manufacturing and exporting Braided Leather Cords. 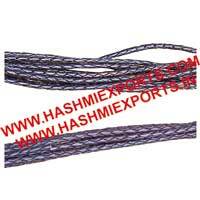 The Braided Leather Cords, we offer, is made using high-grade leather material. 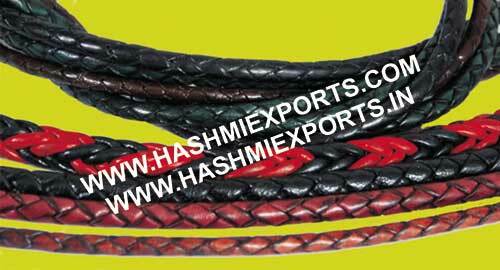 Our colorful Braided Leather Cords are greatly demanded by the clients for designing leather jackets, leggings, choker, hunting or hiking boots, stretch cotton suits, caps and many other things. Greatly reckoned for offering a special touch to the outfits and accessories, our Braided Leather Cords are in great demand in the national as well as international market.